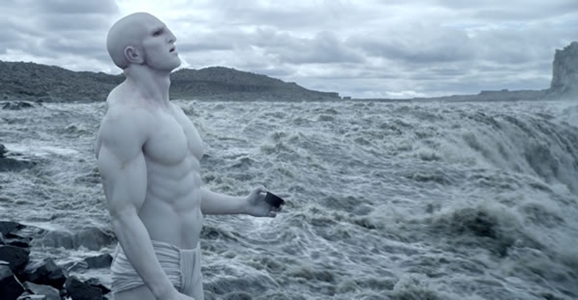 There were a lot of reasons to be excited for Prometheus back before it hit theaters. It was legendary director Ridley Scott’s return to the science fiction genre, expanding upon a resume that already included Blade Runner and Alien. Moreover, we soon learned that Prometheus would also have Scott revisiting the universe of that latter film, exploring a new chapter of the Alien mythology and shining new light on the origins of the vicious xenomorph aliens and the mysterious “Space Jockey” from the first movie. Unfortunately, the finished product left many fans cold and frustrated at wasted potential. But take heart: the characters of Prometheus may be getting a second chance to shine, this time on the comic page. Bleeding Cool cites unnamed sources in revealing that Dark Horse Comics, which has been publishing Aliens comics for decades now, will be expanding that universe a bit more by incorporating characters from Prometheus into upcoming releases. There are literally no more details than that, and it’s not been officially confirmed yet, but the folks at BC suggest we’ll likely hear more at next week’s San Diego Comic-Con. Further exploring the characters and concepts of Prometheus in their Aliens comics makes perfect sense, as Dark Horse has been fleshing out the universe created in Ridley Scott’s Alien since the 1980s, with a lot of really good material coming out of it (and, as with everything else, some forgettable offerings as well). It does beg a few questions: will the comics be set before the events of Prometheus, or after? It would seem to have to be the former, since not many of Prometheus’ characters are left alive at the end of the film, and those who do will likely have their further adventures held back for the upcoming Prometheus sequel. But setting it before the events of Prometheus, before humanity runs across either the Engineers or the xenomorphs — discounting the Alien vs. Predator movies, which may or may not be considered canon for the larger Aliens universe — I have to wonder what stories there would be to tell. On the other hand, maybe the comics will further explore the most interesting elements of Prometheus: the aforementioned Engineers, and their nasty little double-mouthed creations. But while Prometheus left plenty of questions about the nature and motives of the Engineers, again, those are likely to be the focus of Prometheus 2. I suppose we could perhaps get a prequel set in the distant past, when the Engineers were first visiting and seeding worlds like Earth. It’ll be interesting to see what Dark Horse has in store for us. As for Prometheus 2, it’s still in the works, slated for a tentative 2015 release. Most recently it was announced that screenwriter Jack Paglen is rewriting the film’s script. Paglen is fairly new on the Hollywood scene, but picked a hell of a high-profile project for his first produced screenplay: the upcoming science fiction film Transcendence, the directorial debut of long-time Christopher Nolan collaborator Wally Pfister.